Recently, he was DJing and producing with Robert Pointer (AKA Robtronik) under the name Stylus. Stylus is also responsible for some of the most engaging events to occur in Los Angeles . Their events have occurred in amazing venues such as King King in the heart of Hollywood, The Standard Rooftop in downtown LA and Los Globos in the trendy Silverlake area, while attracting international talent of both House and Techno to join in on the fun. 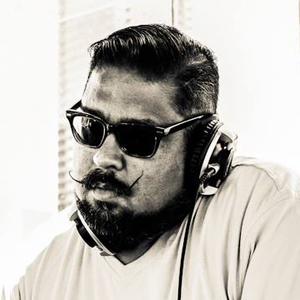 Currently, Thee-O is relaunching Viva La Tech with his partners to create underground events, radio shows and perhaps even a label with a strong Techno focus. On the House music front he continues to work with the LA Based “re:love” crew to continue to throw the legendary park parties as well as pushing the brand to extend itself into new venues and opportunities. While a lot can be talked about when it comes to “Old School,” Thee-O walks the walk. He has accomplished a lot in his 24 years of being a DJ, producer and promoter and he is just getting started. He remains wildly popular while staying firmly planted into the underground scene and not falling into the hype that can surround the current EDM culture. With new ventures, new branding, new tracks, and new ideas, the future is going to be one for the books with lots more to come from this music innovator.